Marketing automation platforms provide powerful suites of tools that aid marketers and sales teams in creating more effective campaigns, but how useful are they really? A newly released report from Digital Marketing Depot titled B2B Marketing Automation Platforms 2015: A Marketer’s Guide took a look at the state of this technology. It provides some guidelines on what to look for, and how to determine if your company could use one. A marketing automation platform is defined as a campaign management system that drives customer interactions, measures response, and delivers prospect information. According to the report, trends indicate that it has great potential and many large companies are looking into how this tech can drive ROI. According to a study by Forester Research, companies that use marketing automation platforms see a 10 percent increase in sales leads. Another study from Aberdeen Group indicated that 20 per cent of the best-in-class enterprises are 67 percent more likely to use them. These numbers can bring a smile to the face of platform providers, and it shows in their revenue figures. 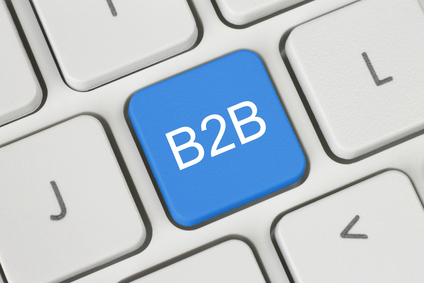 B2B marketing automation vendors saw their revenue increase by 60 percent in 2014. This growth is spurred by adoption of the platforms by various industries like telecommunications, consumer packaged goods manufacturing, and financial services. Even still, overall penetration of marketing automation platforms remains relatively low. Only 10 percent of large enterprises use them, and 85 percent of the companies that do use them feel they aren’t using them to their full potential. Usability is therefore one of the chief problems in relation to increasing marketing penetration. Affordability is another concern, and that explains why there aren’t a lot of SMEs using automated marketing platforms. Marketing automation platforms are offering a greater variety of applications than in the past. While some providers offer a suite which includes everything in one, other vendors offer an open API model allowing enterprises to pick and choose which services they want. Nearly all automated marketing platforms offer features like email marketing, landing page development, website visitor tracking, and data analysis. There is also a host of advanced features including dynamic website content integration, multichannel campaign management, and mobile optimization. It’s becoming increasing difficult for B2B marketers to target the right audience and keep them fully engaged throughout the buyer’s journey. The chief advantage of automated marketing platforms is that they bring a wide range of advanced tools that can make that easier. But, it isn’t for everyone. The report indicates that marketing automation platforms are best utilized by businesses that need help scaling marketing campaigns with company growth. When used effectively, automation platforms can boost marketing efficiency and generate better leads over a complete multichannel user experience. They are costly, and there is a certain learning curve involved, so smart marketers will do their research before investing in the technology. Read the report to find out more about the process involved in procuring one, and in determining what to look for in a marketing automation platform.